Give your minimalist pedal setup a quality board, power, cables and an easy-carry bag. 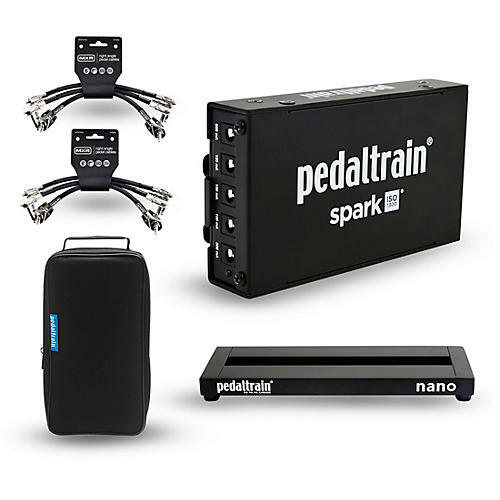 The Pedaltrain Nano Pedalboard with Soft Case is the perfect tiny board for all those micro-sized effect pedals coming out. There are three ways to travel with your PT-NANO: attach it to your guitar case, carry by the handle, or use the adjustable shoulder strap. Includes case and lifetime warranty. Frame: 14 x 5.5 x 1 in. Soft Case: 15 x 8 x 4 in.